God our Father, in your wisdom you chose St Joseph to be the foster-father of your own Son made man. May we enjoy his fatherly care throughout our lives, especially at the hour of our death, and may he obtain for us the special favour we request in this Novena. Grant us this, we pray, through Jesus Christ our Lord. Amen. Jesus Christ was born in this way. His mother Mary was betrothed to Joseph, but before they came to live together, she was found to be with child through thee Holy Spirit. Her husband Joseph, being a just man and wanting to spare her publicity, decided to send her away quietly. But as he made up his mind to do this an Angel of the Lord appeared to him in a dream and said "Joseph, son of David, do not be afraid to take Mary home as your wife, because she has conceived what is in her by the Holy Spirit. She will give birth to a son, and you must name him Jesus, for he will save his people from their sins". When Joseph woke up, he did as the Angel of the Lord had told him. Mary gave birth to a son and he named him Jesus. Intercessions: Lord, we come before you with faith and trust. Through the intercession of St Joseph we ask you to hear our prayers and grant us your help in all our needs. - Joseph believed God's messenger even though he did not understand the Lord's plan and so became the foster-father of God's own Son. May we too learn to believe, trust and follow the word of God in our lives. Response: St Joseph, pray for us. - Joseph took the child Jesus into his care, loving and accepting him as his son. May we accept all that god gives us in life and care for those entrusted to us with selfless and dedicated love. Response. - Joseph, through his carpenter's work, supported Mary and her Son at Nazareth. May we come to appreciate the dignity of human labour and co-operate with God our Creator and our fellow men and women in building a better world. Response. - Joseph lived a life of faithful service to God's call and died in the arms of Jesus and Mary. May we follow God's call in all things and one day come to share the company of Jesus, Mary and Joseph in heaven. Response. 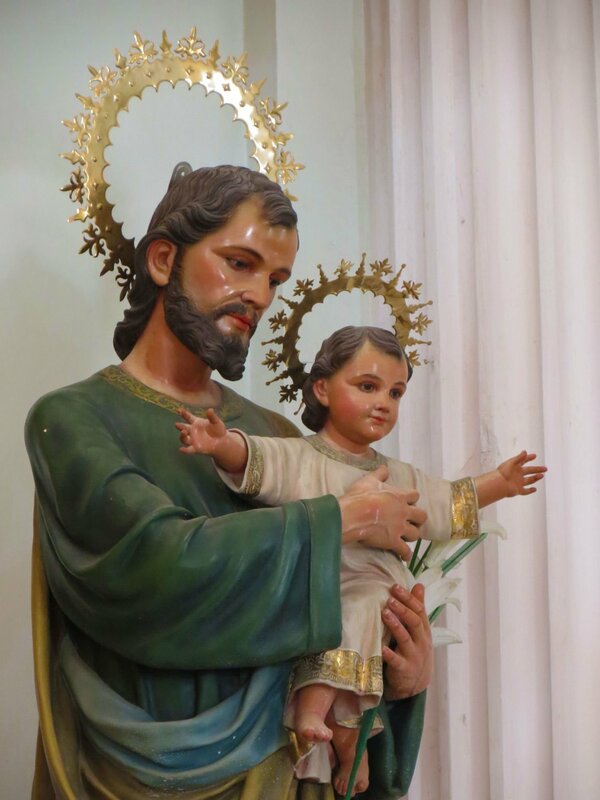 St Joseph, powerful protector of the Church of God, we come to you in our need and confidently ask your intercession before the throne of Him whom men called your son. Mindful of the tender love you showed for Jesus and Mary we place before you our many needs. Guide us along the paths of life, however dark and hard the way, and be near us with your consoling presence when the Master calls us from this life to Him. May we share with you the company of Jesus, Mary and all the Saints forever. Amen. Testimonials: These are the words of one of the people using the Novena prayers to St Joseph. "...as you know the job is still very new and I am still finding my feet as it were...am continuing to pray to St. Joseph every day, so thank you very much for that! I think that it is making a difference and it is allowing me to trust that the Lord will continue to provide for me and equip me with the skills that I need to do the job well/to the best of my ability and be more positive and confident in how I approach it..."
Some feedback from Catholics and non Catholics who have prayed to St. Joseph with success: 2 people found work after a long lay-off, families that prayed together have had healings within and one young lady's boyfriend has decided to call her and restart the relationship.